Raise your hand if cleaning the shower is one of your least favorite chores EVER. I’m totally raising my hand! I hate cleaning the shower! 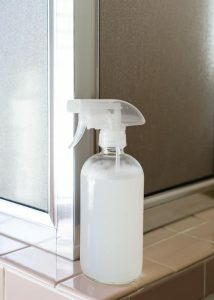 So I’m loving this homemade shower spray solution – just give the shower a quick spritz after each use to keep soap buildup and mildew at bay between the deep cleanings. There’s way too much scrubbing involved in shower cleaning. I hate seeing the the mildew develop in all the nooks and crannies but, ugh, all that scrubbing. 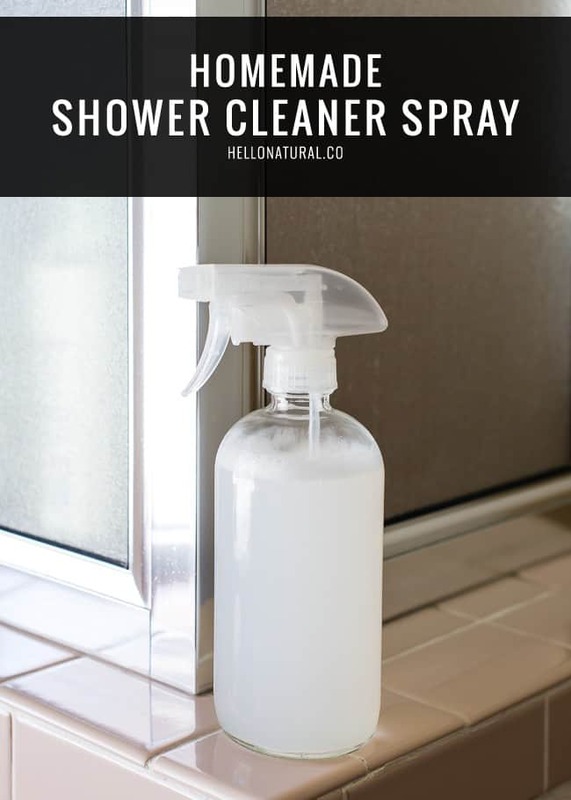 If you hate scrubbing as much as I do (and I really hate it), a daily shower spray is a must. Deep cleanings will become easier and less frequent. And are you ready for how simple it is? I swear, vinegar is good for everything! And it’s the main component here too. 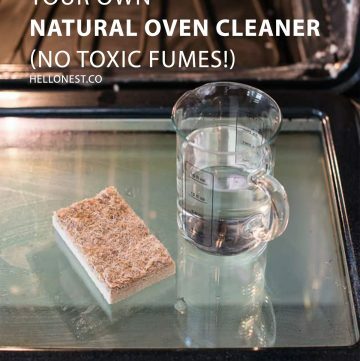 All you do is mix up some white vinegar with a little dish soap and tea tree oil. Give your shower a spritz every time you use it. 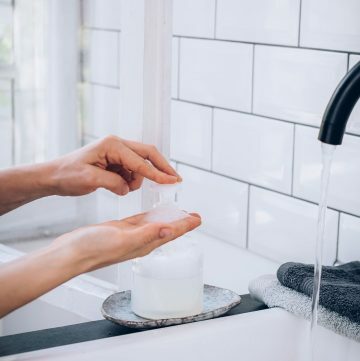 The tea tree and vinegar work together to help keep mildew at bay, and the soap works with the vinegar to conquer the soap scum. 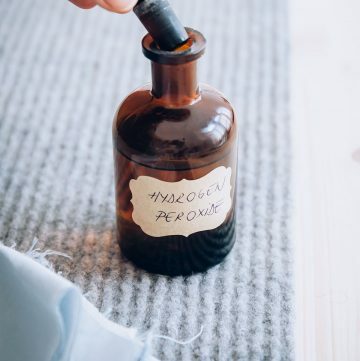 Note that if you’re sensitive to strong scents, you’ll want to have the fan running or a window open. The vinegary-tea tree smell can be a little overwhelming for the first few minutes or so. And by all means, don’t go too overboard here. A little spritz per day is all it needs. 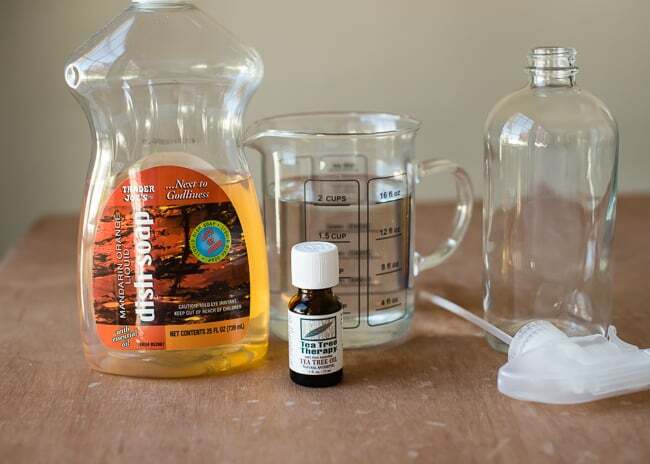 Combine vinegar, dish soap, and tea tree oil in a spray bottle. Keep in the shower or near the shower and give it a spritz once a day after using the shower. Great idea! I hate cleaning the shower too! I usually put it off for a few weeks and then totally regret it! Great idea! 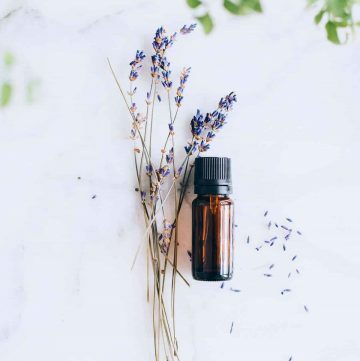 But if you’re a pet-parent, take care not to expose Fido or Fluffy to the tea tree oil because it’s toxic to both humans and our four-legged buddies. Obviously it’s safe in the concentration you outlined, but just be aware when you’re mixing the stuff. Our cats are hugely inquisitive about … well, just about anything. 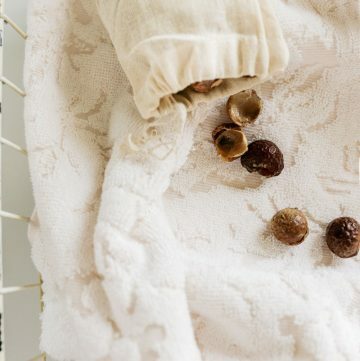 Love the recipes for green cleaning (and other recipes, too!). Where do you get your nifty looking spray bottles? Are they glass or plastic? Thanx for these great cleaning recipes. I’m assuming that after cleaning the shower with this cleaner, it has to be rinsed well. Great post! Why non-Castile-based soap, please? Castile soap leaves a film. Two cups of water = 16 ounces, so at least that size. Just realized the recipe calls for 2 cups vinegar, not water. My personal preference would be to cut the vinegar to 1 cup and add 1 cup of water. Whats dish soap? Washing up liquid? I have some Fairy original and it foams like crazy, is this ok in small quantities?